Two common instrumental swallowing examinations are the MBS/VFSS and FEES. 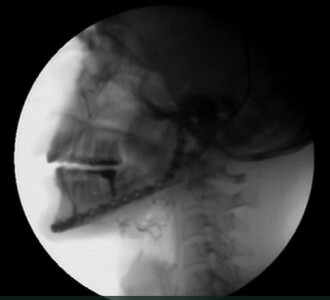 General Description: This is an x-ray motion swallow study done in Radiology with a swallowing specialist and a radiologist. This assessment is designed to evaluate the structures you use to swallow and how adequately they function. Purpose: The purpose of this examination is to determine if aspiration (when food or liquid enters your airway, which may lead to pneumonia) is occurring before, during or after you swallow. This examination is also used to evaluate risk for aspiration and the effectiveness of strategies used to improve your swallowing safety. Procedure: Prior to the evaluation, you may be asked to refrain from eating the night before so that you do not have a full stomach prior to the evaluation. This is a standard instruction, but you should take your medications as prescribed and you can have sips of water prior to the examination. 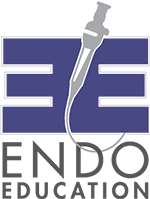 The swallowing specialist will feed you several foods and liquids mixed with barium (a chalky tasting white material that is radio-opaque) and watch a video as you swallow each consistency. During the evaluation, the swallowing specialist may ask you to change your posture while you swallow (tuck your chin or turn your head a certain direction) in order to determine if specific postural changes prevent aspiration. This process may take 15 minutes under the x-ray apparatus, but your appointment may last 30 minutes to an hour so the swallowing specialist can review results with you and educate you about how you can most safely swallow. After the evaluation, drink plenty of water. Some individuals who are prone to constipation can find the barium makes this worse. You may notice that your bowel movements are white; this is normal. Click here to view a video of a sample MBS study. Other MBS videos are available on YouTube. General Description: This test involves placing a small fiberoptic endoscope (a long tube that resembles a piece of spaghetti with a camera at the end) into your nose and throat to observe swallowing under direct visualization. FEES can be performed at bedside if you are in the hospital, or if you are an outpatient, usually in an Ear Nose and Throat doctor’s office. 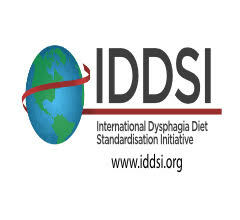 Purpose: This assessment is designed to evaluate the structure and function of the muscles of the throat and larynx while you swallow, including presence or absence of aspiration (food or liquid going into the trachea (i.e., wind pipe)) and efficacy of various swallowing maneuvers. Procedure: Prior to this test, you are permitted to eat or drink. When you arrive, the physician will likely prepare your nose to make the procedure more comfortable. This will include some kind of lubrication with or without numbing medication. Some physicians also use a nasal decongestant spray to open up your nasal passages. This procedure should not be painful. It may be an unusual sensation or slightly uncomfortable but this discomfort is usually over after the procedure is terminated. The scope is gently placed in the nose and advanced until it reaches the back of your throat. The MD and/or swallowing specialist will then have you make some sounds and observe your swallow. What you are asked to swallow will be based on your swallowing ability. This may be only saliva or ice chips tinted blue or green for better visualization. However, you may be asked to swallow colored liquids of varying consistencies, and/or puree or solid foods (often a cracker). If you are an outpatient, you may be asked to bring specific food or liquid that gives you trouble. During the procedure the swallowing specialist may ask you to change your posture while you swallow (tuck your chin, hold your breath prior to the swallow or turn your head a certain direction) in order to determine if specific postural changes improve swallowing safety. This procedure usually takes only a few minutes with the scope in your nose, but more time will be taken after the evaluation to discuss and view your swallowing study and provide you with recommendations. 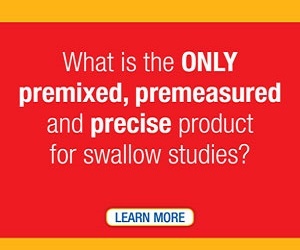 Learn more about potential recommendations and treatment your swallowing specialist may make and rationale for their recommendations in an upcoming treatment post. (1) Logeman, J. A. (1998). Evaluation and treatment of swallowing disorders (2nd ed.). PRO-ED, Incorporated.